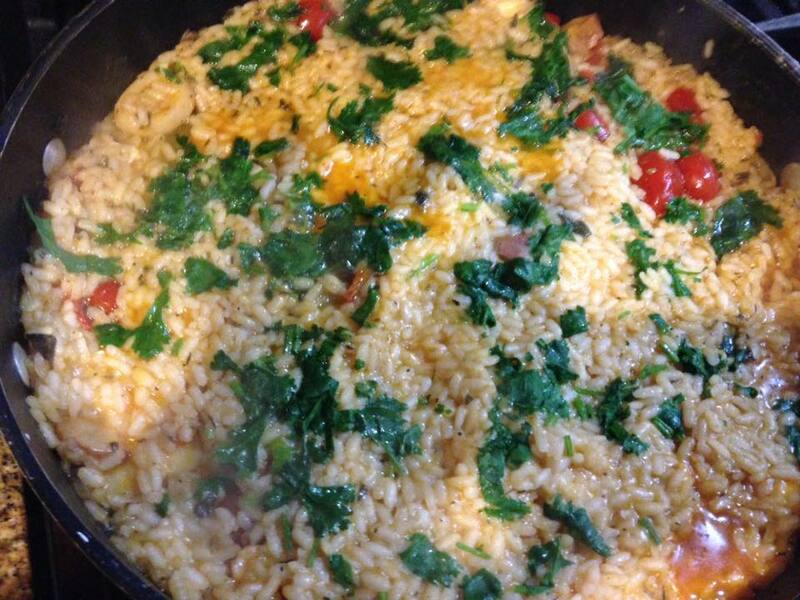 I have been experimenting with Paella making these days, playing with ideas influenced by my Italian cooking. So I asked myself, what if a partially cooked pan of risotto rice decided to jump in bed with a Peruvian Seafood Medley of Octopus, Scrimp Scallop, Hake, a few Clams and Heart of Palm. What if , they found themselves incompatible. and the rice decided to stay on top ? Well , it happened and it turned out to be culinary love at first sight . I present to you : UpSide Down Peruvian Inspired Paella. Taking Orders of the phone your next stop by my Island.